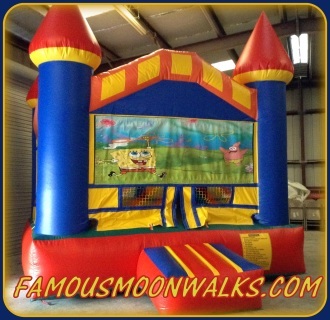 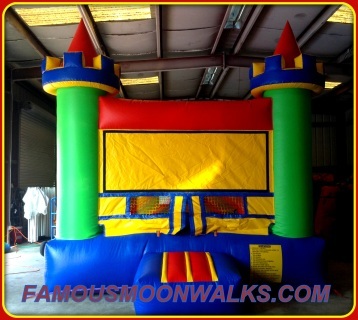 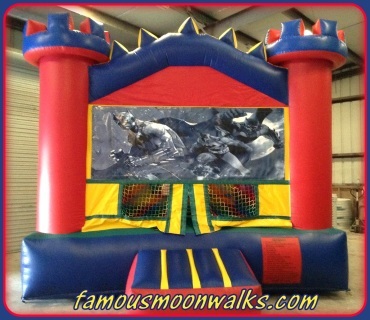 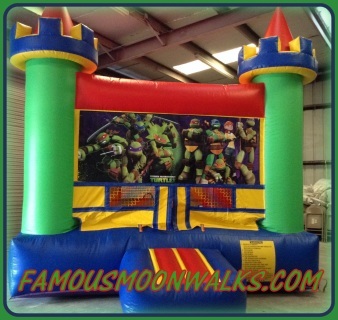 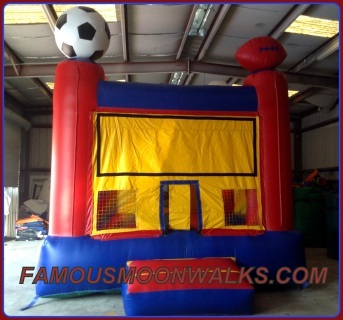 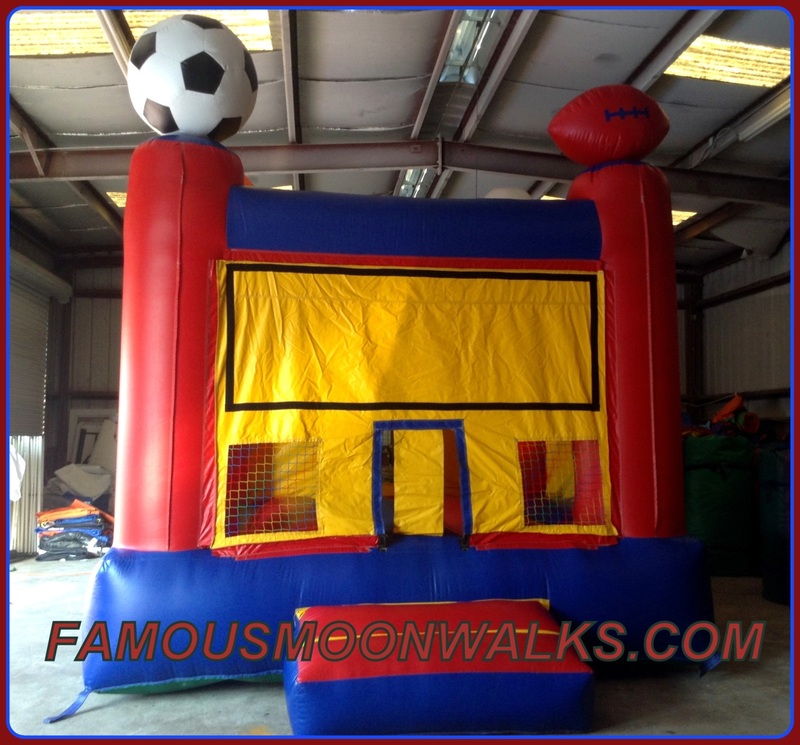 Famous Inflatable Moonwalk Rentals offers more then 100 themes to choose from! 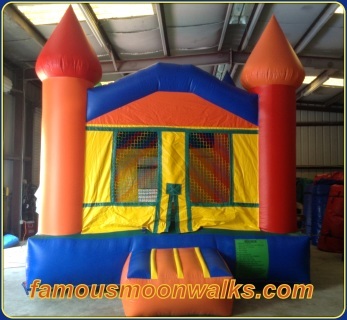 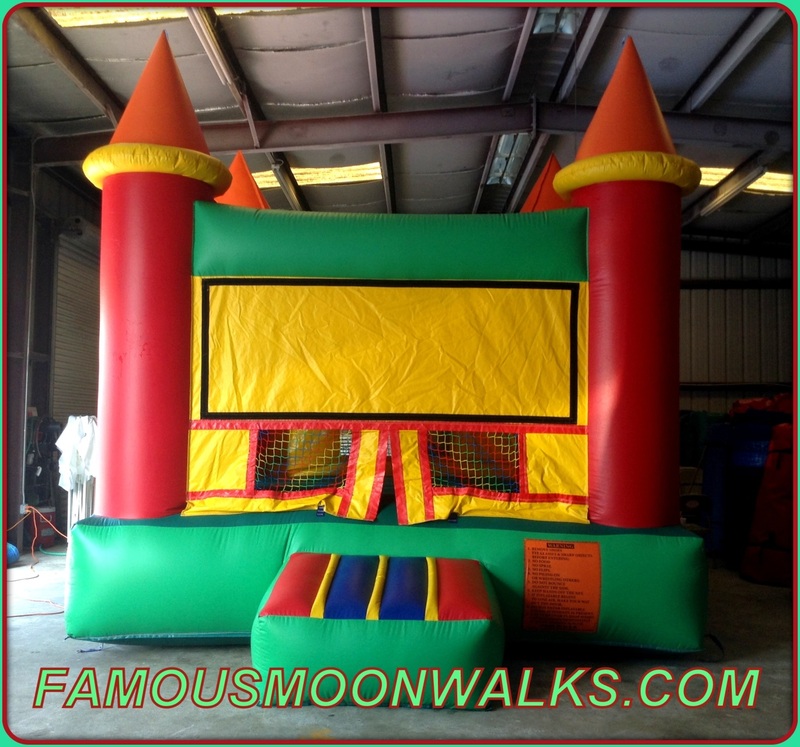 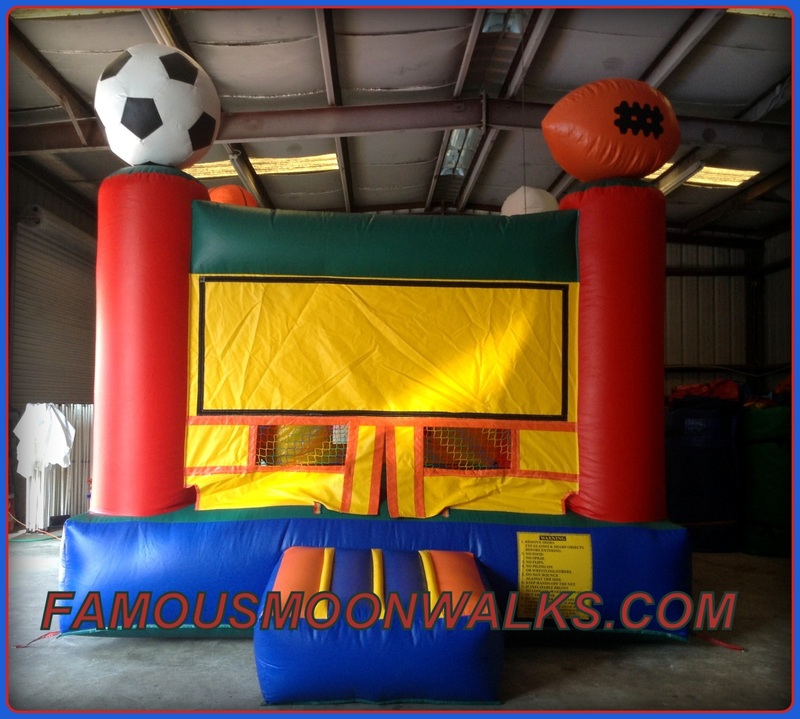 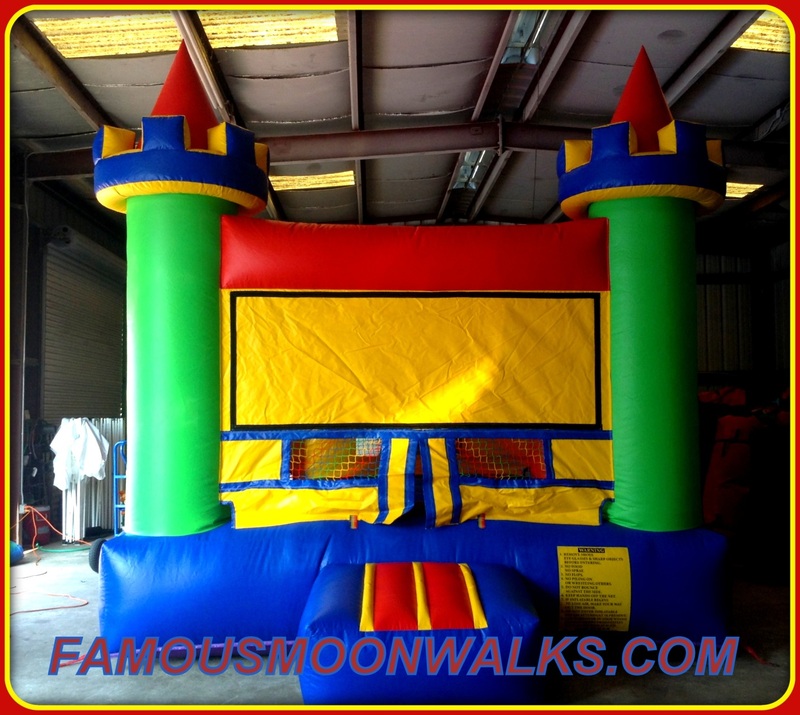 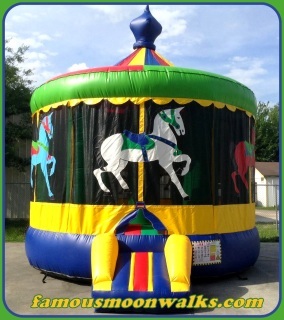 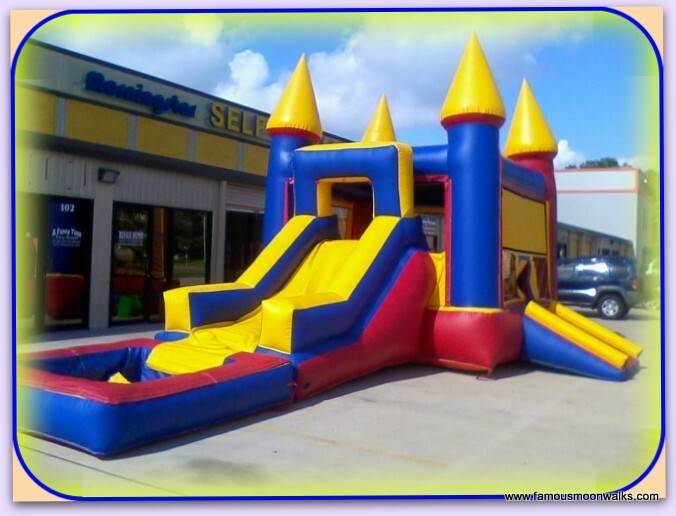 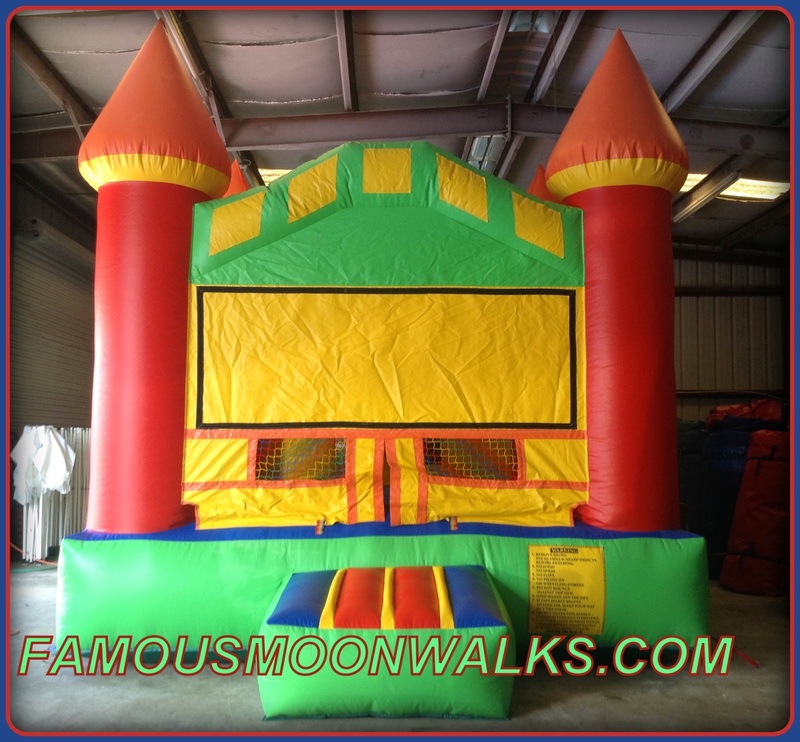 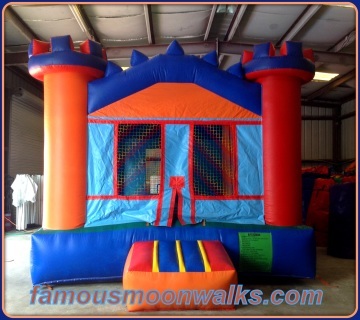 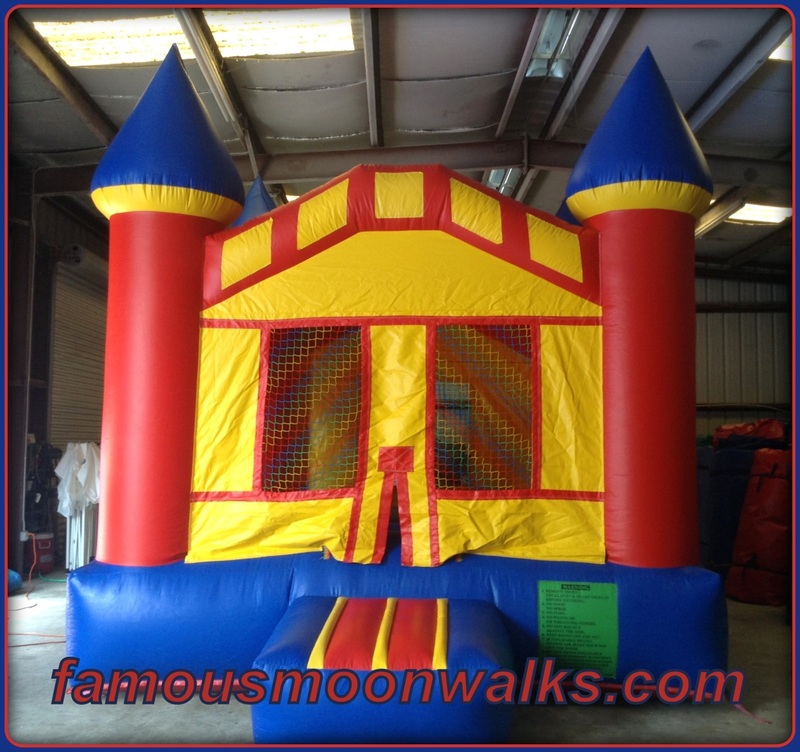 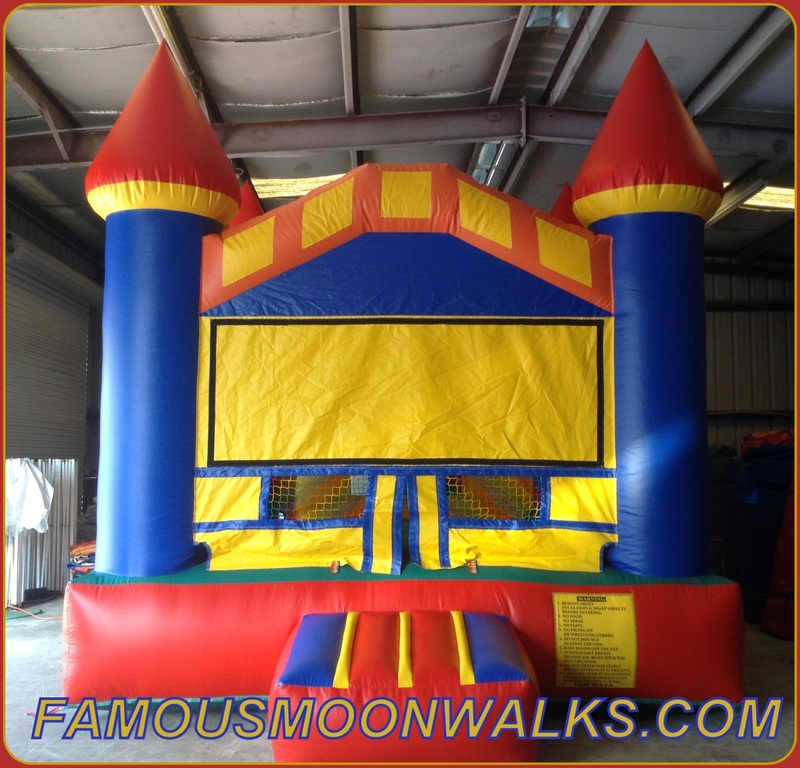 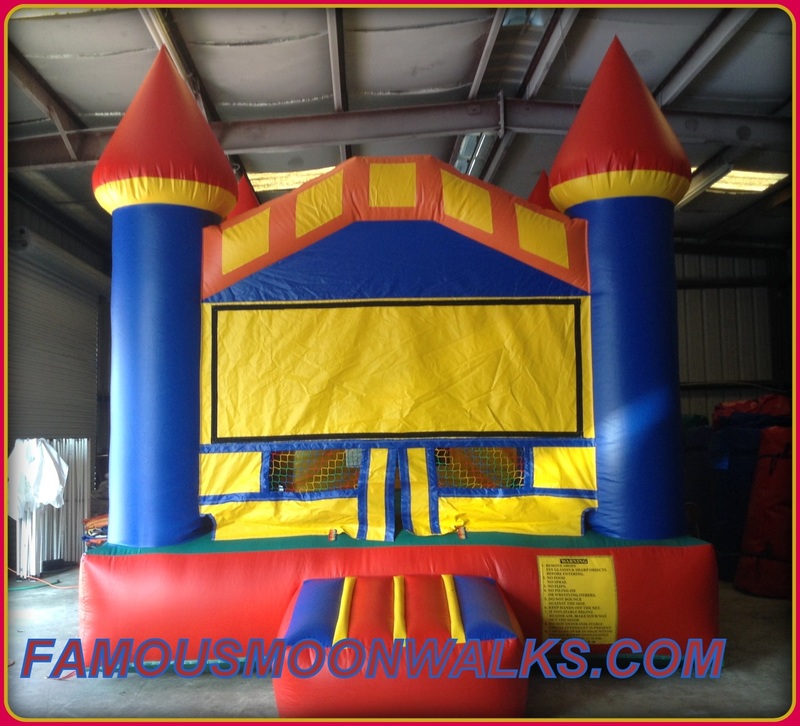 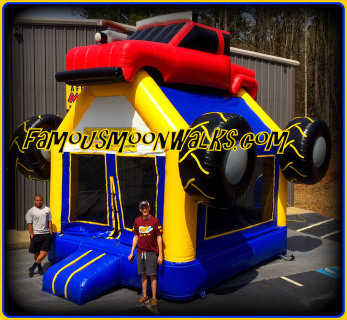 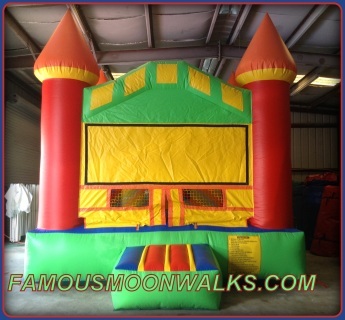 Famous Inflatable Moonwalk Rentals is currently offering these four specialty units. Inflatable moonwalk rentals have become a sensation for birthday parties. 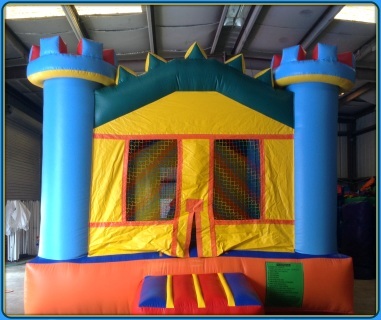 Do not forget to check out Our Party Rentals page before completing your order. 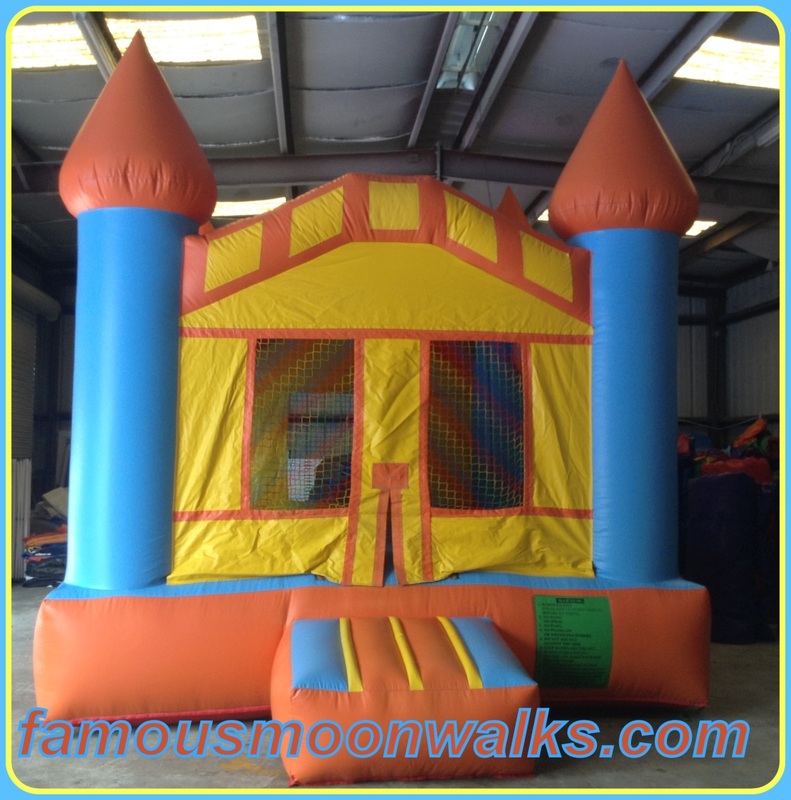 Planning birthday parties has never been so fast an easy with our inflatable moonwalk rentals or Party Rentals. 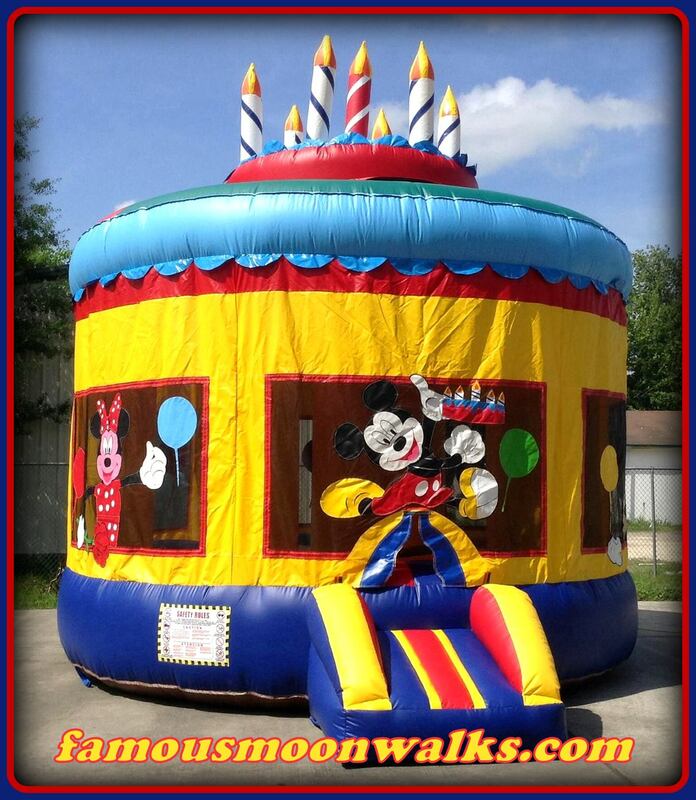 Inflatable moonwalk rentals are presently one of the best things for birthday parties and with these Mickey Mouse moonwalk rental or the Carousel moonwalk rental, We can almost guarantee your next birthday party will be an unforgettable moment for your kids and their friends. 15X15 bounce house rentals with theme of choice, 6 to 8 hours rental. 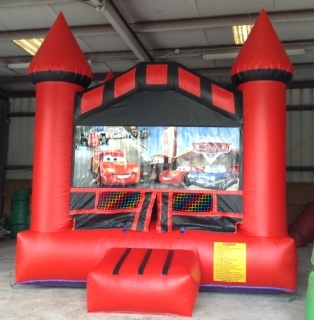 15x15 Sports Arena bounce house. 15X15 Moonwalk rentals with theme of choice, 6 to 8 hours rental. 15X15 moonwalk rental with theme of choice, 2 tables & 12 chairs. 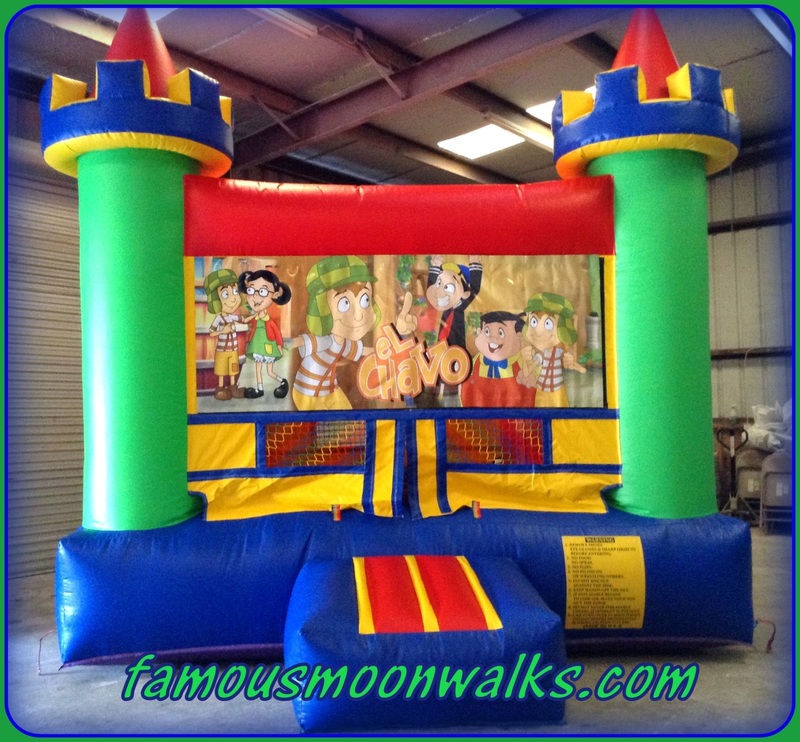 15X15 moonwalks rentals with theme of choice, 4 tables & 24 chairs. 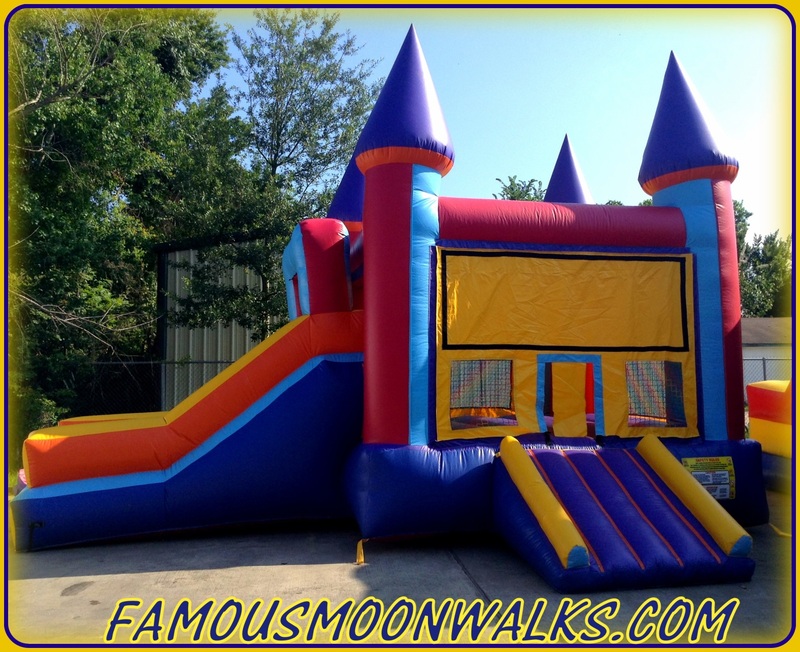 15X15 Moonwalks rentals, 2 tables, 12 chairs and a 10x10 Canopy. 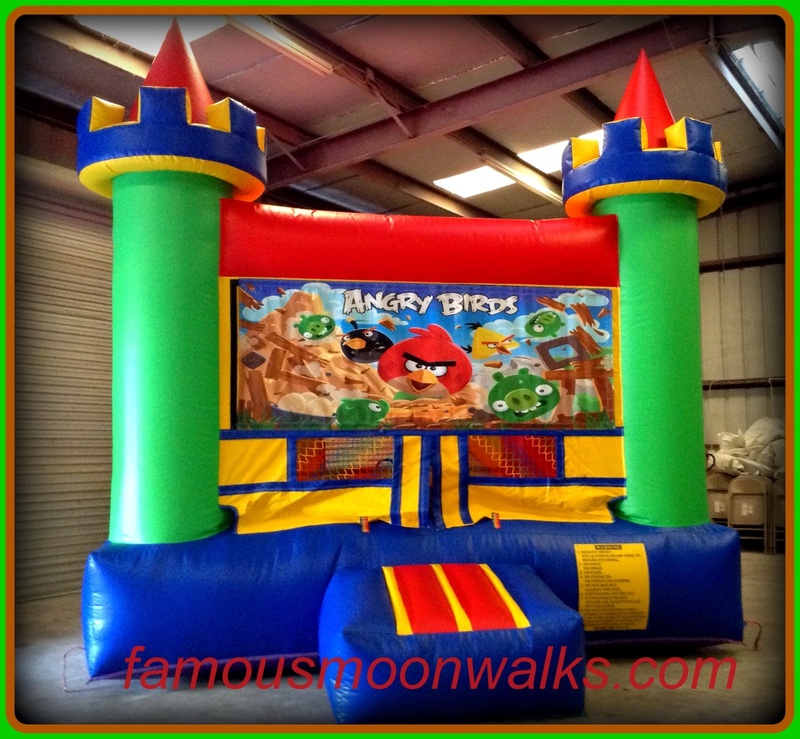 Angry Birds moonwalks rentals, 2 tables and 12 chairs. 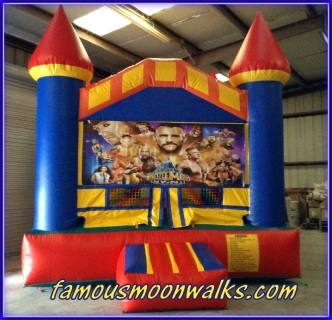 15X15 Moonwalks Rentals with theme of choice and a Popcorn m.
15X15 Moonwalk Rentals, theme, 2 tables, 12 chairs and a Cotton candy m.
WWE Moonwalk Rentals, 6 to 8 hours rental. 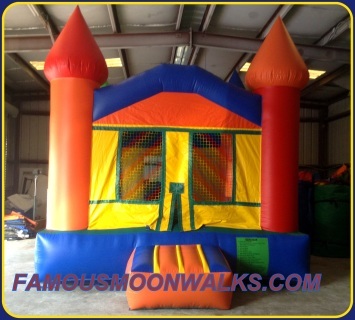 15X15 Moonwalks Rental, 6 to 8 hours rentals. 15X15 Moonwalks Rentals, 6 to 8 hours rental. 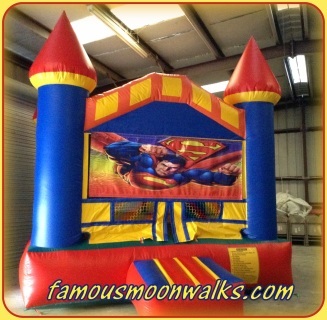 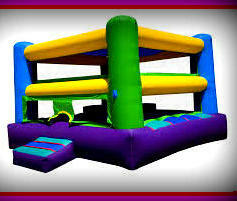 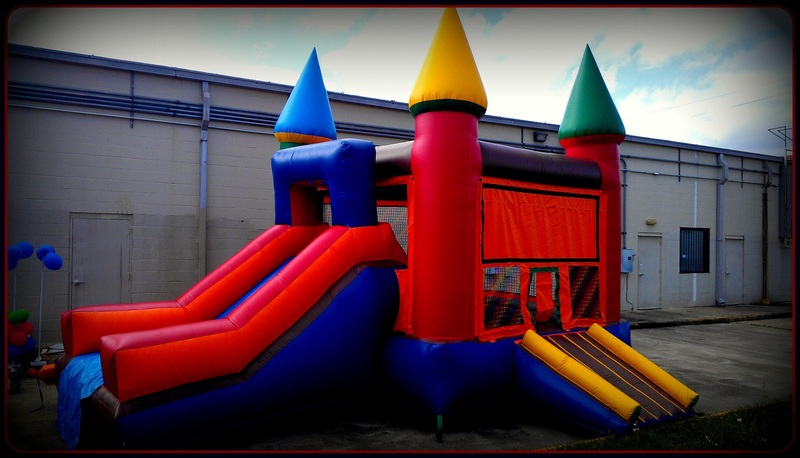 15X15 Bouncy castle rental, theme of choice, 6 to 8 hours rental. 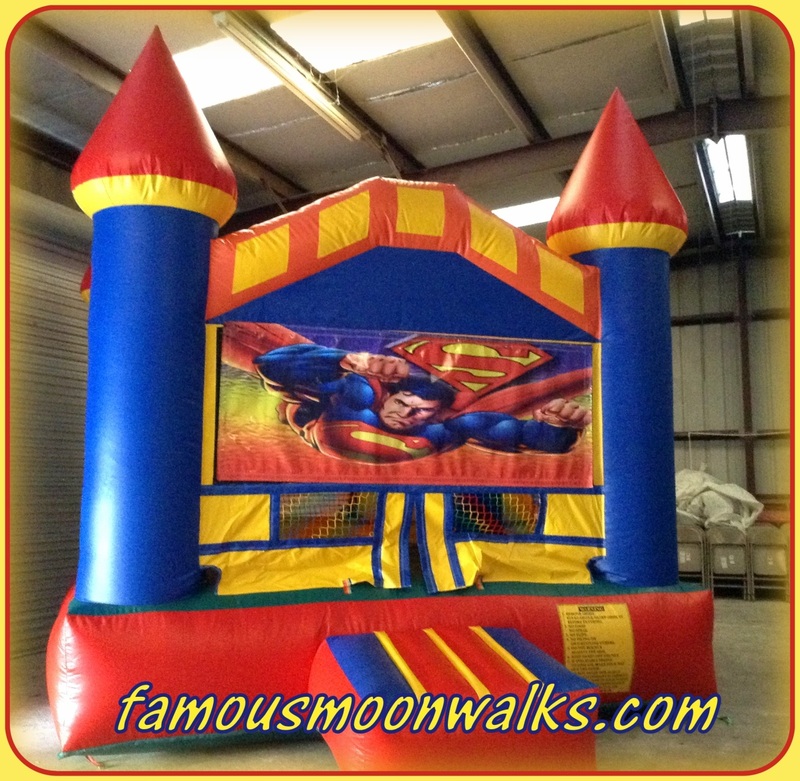 15X15 Moonwalk Rental with theme of choice. 15X15 Moonwalks Rental, 6 to 8 hours rental. 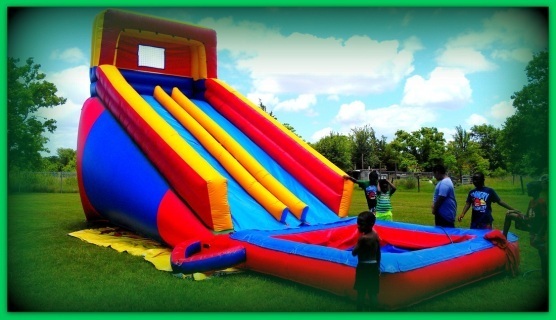 WATER SLIDE RENTALS HOUSTON TX. 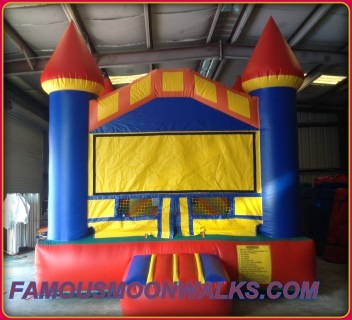 and basketball hoop, 2 tables, 12 chairs. 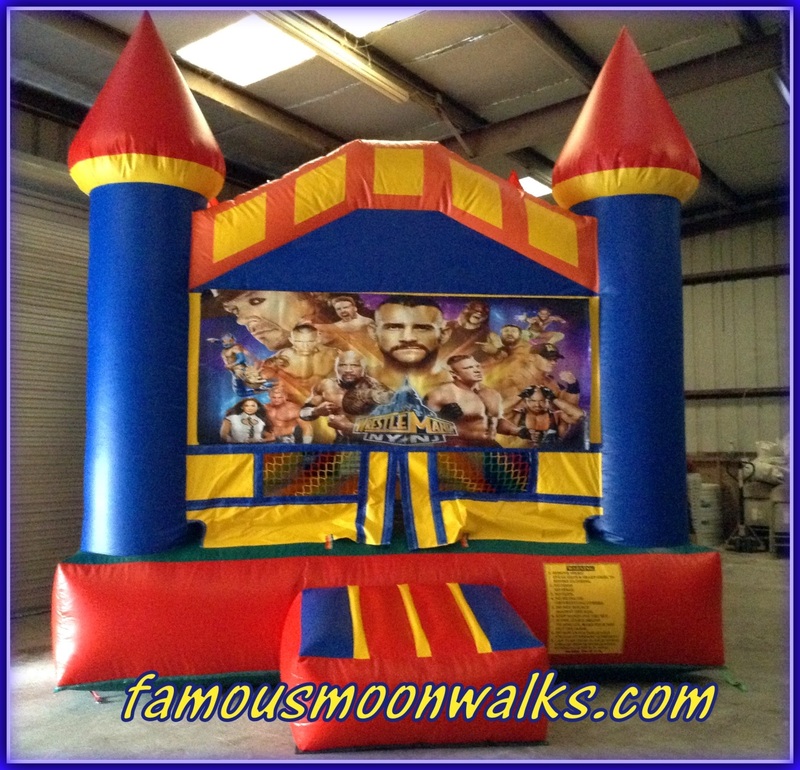 Bounce house rental, wet slide, pool, theme of choice & basketball hoop. 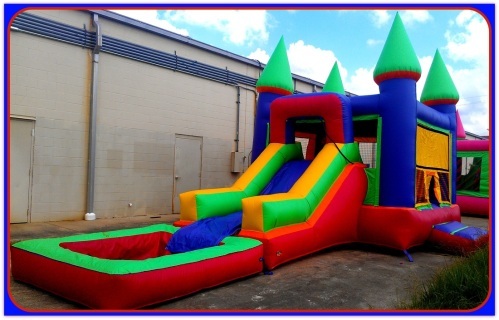 20 Foot tall double lane water slide with pool, 2 tables, 12 chairs, cotton candy m. & a snow cone m.
Bounce house rental, dry slide, theme of choice, basketball hoop, 2 tables and 12 chairs. 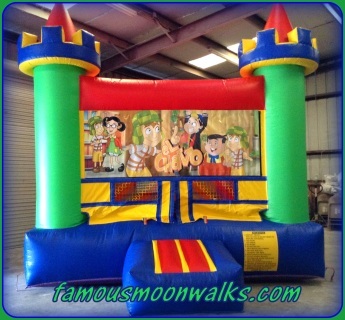 Bounce house rental, wet slide, pool, theme of choice, basketball hoop, 12 chairs, 2 tables & snow cone m.
Bounce house rental, dry slide, theme of choice, basketball hoop, 2 tables & 12 chairs. 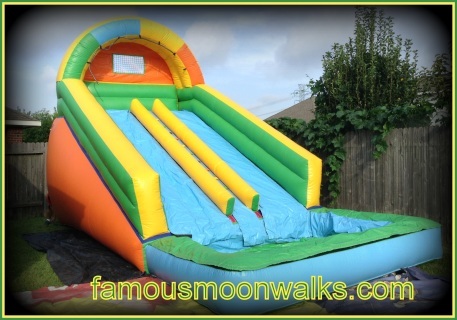 18 foot tall dual lane water slide, 2 tables, 12 chairs & popcorn m.